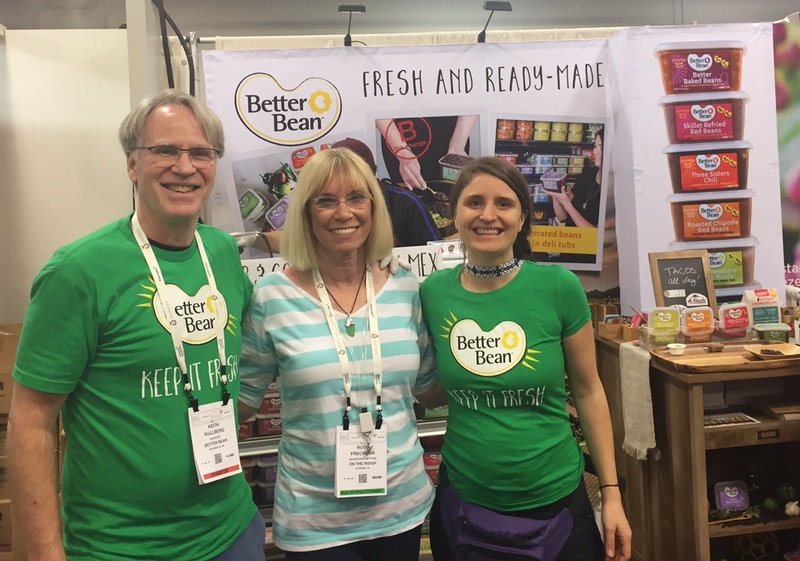 It’s been a couple of weeks since the Natural Products Expo in Anaheim, CA, and I still haven’t finished my bags of goodies. I always enjoy experiencing trendy, new foods and snacks at the Expo. After spending six exhilarating hours walking up and down row after row upstairs and downstairs, I think that I saw at least half of the 2,700 exhibits. It seemed like mostly snack items with the usual coconut waters, organic chocolate, yogurt, nut butters and gluten-free foods. A couple of interesting products this year included camel milk and snack bars made with cricket flour. I was told that crickets are similar to shellfish, so people with a shellfish allergy may need to avoid products with crickets. There seemed to be a lot of flavored popcorn this year, which is good news. I love popcorn. It’s a whole grain and relatively low in calories. 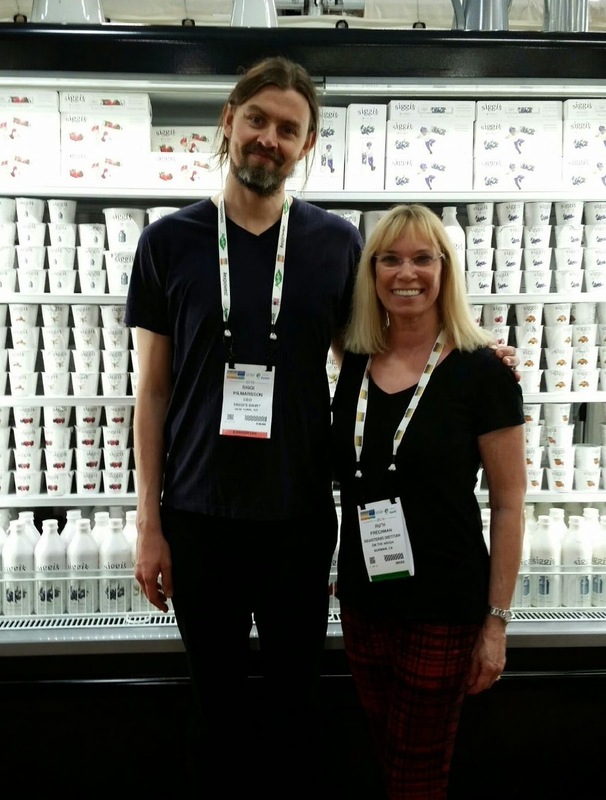 I also saw more ancient grains, raw vegan products and flavored olive oils. Flavored olive oils are popular in Spain and Italy and are spreading to the US. I had some favorites with tasty, unique or interesting flavors. Bruce Cost Ginger Ale, Unfiltered, made with fresh ginger – ginger is so healthy! LifeIce – freeze and eat natural bite-sized ices – little bursts of flavor! GR3EN energy from GR3EN.org. It’s made with green tea, guarana, coconut water and kale – refreshing and delicious! Immaculate Brownie Scratch Baking Mix. Wow. Hard to not eat too many! 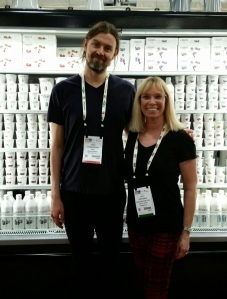 When I was on my last leg, I ran into the man himself – Siggi from siggi’s yogurt! Looking forward to next year and another great tasting experience.